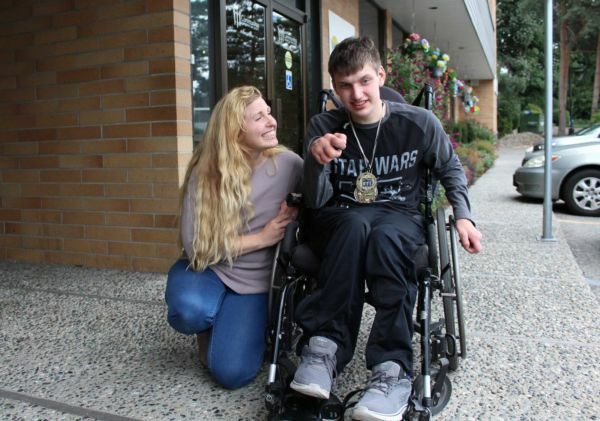 Alexander’s voice can be heard down the hallways of the Communitas offices in Abbotsford as he passes by the office doors and greets those he sees. He remembers details from each visit, and draws from these details to engage in further conversation each time. Staff members look forward to these visits and he is greeted with genuine warmth and affection. We first came to know Alexander through Matthew’s House. He has loved his visits, enjoying the opportunity to hang out with friends, play tennis on the Wii or go for walks with staff. 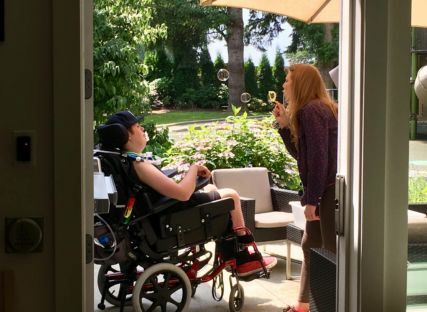 For his parents, Christel and Alan, Matthew’s House has been a gift, allowing them to do things with each other or with their other children, knowing that Alexander would be well cared for. This year, Alexander turned 19 and as he makes the transition into adulthood, his parents have been faced with many changes, especially in terms of access to resources, which have become fewer despite the fact that Alexander’s needs have actually increased. “Alexander’s care needs are increasing as he gets older, so if anything, we need more access to therapies and more respite,” Christel explains. A positive transition for Alexander has been accessing daytime support through Communitas Supportive Care Society’s Community Inclusion (CI) program. Katelyn is Alexander’s CI support worker and they have formed a strong friendship. 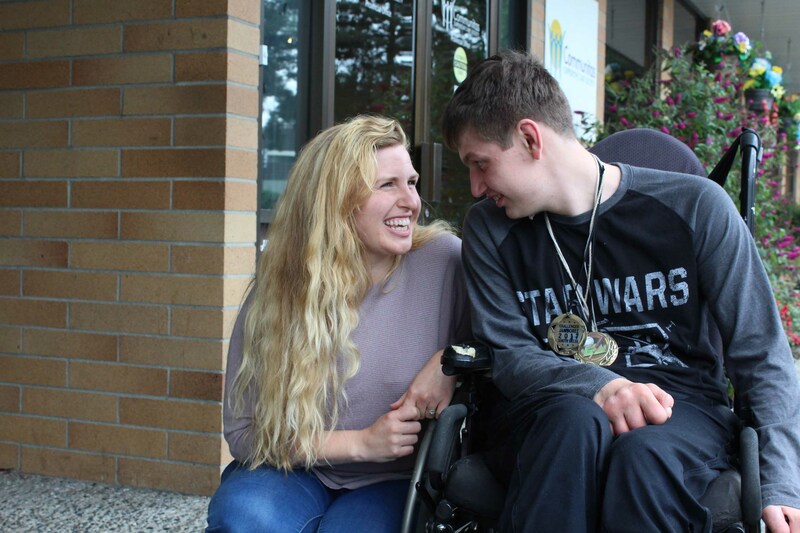 Alexander and Katelyn spend their days together visiting friends, going for hot chocolate at Starbucks, visiting the library or enjoying walks at Mill Lake. Katelyn thoroughly enjoys her time with her new friend and has come to appreciate what he brings to her life. Christel and Alan say that Alexander’s time at Matthew’s House has given him a measure of independence, offering an opportunity to develop his own friendships and experiences. Their hope for his future is that he will be able to make his first independent home at Matthew’s House, where he already knows and loves the environment, and where he already has good friends. 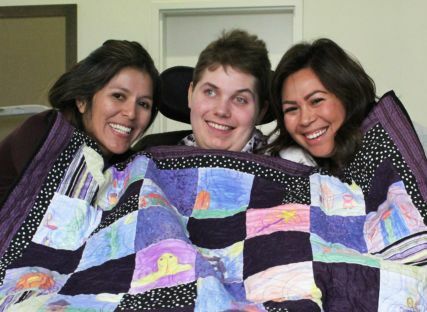 “Living at Matthew’s House would be ideal,” Christel says. Their dreams for their child are the same as that of any parent whose child is entering into adulthood: healthy relationships, a safe place in which to explore adulthood, opportunities to grow and mature, and a deep sense of belonging. 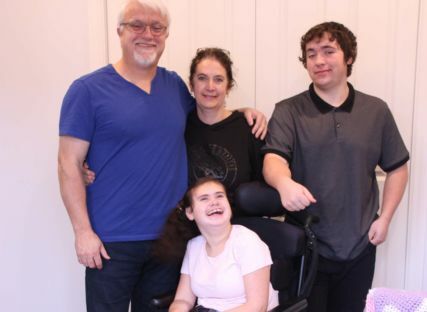 As Matthew’s House transitions to supporting youth with complex care needs, our hope is that we can provide the care and support that this family and others like theirs needs. In the meantime, Alan and Christel are grateful for the support they have already received. They also recognize that Alexander’s positive outlook on life means that he takes all this change in stride. Kylie Newton was the first child to receive respite at Matthew’s House when we first opened in 2013. Ian and Brenda reflect on five years of support and the difference Matthew’s House has made to their family. A life can change in a moment. That’s what happened to Austin, just over 3 years ago. Find out how Matthew’s House is making a difference to him and his family. A quilt is more than a blanket, it tells a story. This is doubly true of a quilt recently donated to Matthew’s House by a grade two/three class at McMillan Elementary School in Abbotsford.